Lebanon Analysis: Is Lebanese newly elected president liable to bolster political stability? On October 31, the Lebanese Parliament elected the Free Patriotic Movement’s (FPM) leader, Michel Aoun, for President of Lebanon. The Lebanese newly elected president was elected in the second round of voting after 83 out of 127 members of parliament voted in his favor, following a failure to achieve two-thirds of the votes in the first round. Days later, on November 3, the newly elected President Aoun tasked Mustaqbal Movement leader Saad Hariri with the formation of a new government, after the latter was elected by the Lebanese Parliament as the new Prime Minister, receiving 110 votes out of 127. Additionally, on December 18, a national accord cabinet, led by the newly appointed Prime Minister Saad Hariri, was formed following the reaching of an agreement regarding portfolios. The cabinet includes 30 appointed ministers who represent various factions of the Lebanese political demography. The aforementioned developments are highly notable given that they follow a two-and-a-half year deadlock, with Lebanon’s political system failing to elect a President, as well as the fact that the recently formed government was agreed upon by rival political elements. This includes the FPM’s leader and a prominent member of the Hezbollah-led March 8 alliance, Michel Aoun, and the Mustaqbal Movement’s and March 14 alliance leader Rafiq Hariri. Thus, it is clear that the two sides struck a deal that includes the endorsement of Aoun by Hariri, while in return the latter would be appointed as the new Prime Minister. Previously, tensions have been elevated between these two political adversaries, mainly surrounding the FPM leader’s alliance with Hezbollah, as well as his support for Syrian President Bashar al-Assad. In light of these recent developments, we assess that the political situation in Lebanon is liable to significantly stabilize over the coming months due to the Lebanese newly elected president. In this context, Rafiq Hariri’s willingness to make concessions and his endorsement of Aoun can potentially be linked to a number of factors. For instance, over the past several months, Hariri’s popularity has been decreasing across the country. This is highlighted by the Hariri-backed candidates’ poor performance in May’s municipal election, including in Tripoli, a city which has traditionally been a known stronghold of Hariri. By finally agreeing to endorse Aoun’s appointment as president, and the placing of himself in the role of the Prime Minister, it remains likely that Hariri seeks to secure his political power as Lebanon’s most powerful political figure, thus avoiding the risk of a further decrease in his popularity. Additionally, in light of the growing influence by Hezbollah and its ally President Bashar Assad, it is possible that Hariri is attempting to assert his power as a prime minister in order to curb any potential attempt by the former to subsequently bolster their influence in Lebanon. Lastly, on part of the March 8 Alliance, namely Hezbollah and the FPM’s leader Michel Aoun, we assess that by making such concessions they attempt to improve their domestic image in the eyes of the Lebanese public. In this context, over the past several years, the Shiite militant group, which is the main political ally and backer of Aoun, has been criticized for its support for the Syrian government and its participation in the Syrian conflict. With this in mind, by becoming Lebanon’s “number one citizen”, Michel Aoun and his March 8 alliance may seek to appear less sectarian. Expected political stability is liable to diminish instances of civil unrest, Sunni militant activity in coming months; Hezbollah-linked activity likely to increase in coming months. With this in mind, on the ground, we assess that the aforementioned political concessions will likely lead to a significant quieting of civil society activity and incidents of unrest, as well as strikes by Lebanon’s labor unions, which witnessed a peak in the last two years. Such unrest was largely attributed to the persistent refusal of Lebanese lawmakers to resolve socioeconomic issues, given the lack of a president. This includes, for example, during the summer of 2015, when numerous wide-scale demonstrations were held to denounce the Lebanese government’s inability to solve the issue of overflowing garbage and inadequate disposal. With the Lebanese newly elected president and formation of a government, these issues are liable to be finally addressed by the Lebanese parliament, and potentially resolved, likely leading to a resulting decline in related protest movements over the coming weeks and months. Furthermore, given the interest of multiple regional powers to sustain Lebanon’s long-term stability, including Iran and Saudi Arabia, it remains possible such countries will enhance their financial support to Lebanon, thus allowing the latter to effectively solve some of the socioeconomic and labor-related issues over the coming months. That said, should internal battles within future governments prolong the resolution of socioeconomic issues, the likelihood for additional protest campaigns will increase, as activists will denounce the government’s ineffectiveness, despite the short-term anticipated political stability. With regard to the threat of militancy, in light of the possible increase of financial support by the international community to the Lebanese state, there remains a potential that such aid will be directed to the Lebanese Armed Forces (LAF), thus enhancing its capabilities and resulting in a potential decline in militant activity over the coming months. This is further likely given the anticipated reduction of criticism towards Hezbollah’s militant activity, which traditionally emanated from Hariri’s political camp, thus enabling the Shiite militant group to operate more freely against militants across the country without the partial restraints of negative public opinion. However, due to such elements’ increased interest in destabilizing the Lebanese state, Sunni Islamist militants are liable to persist in their efforts to conduct acts of militancy throughout the country, albeit to a more limited extent. Finally, the new political conditions bear the potential to increase the threat of an escalation of hostilities between Hezbollah and Israel along the border area over the long term. This can be explained by the previously mentioned anticipated decrease of criticism regarding Hezbollah’s militant activity, given the formation of a unity government between the Shiite group’s main political ally and their chief critic, namely Hariri. With the potential removal of this obstacle, the Shiite militant organization may be able to operate more freely along the border with Israel. 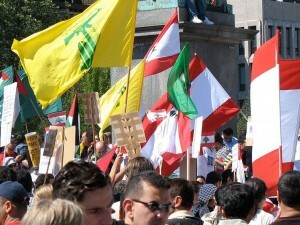 With that being said, in light of Hezbollah’s deep involvement in the Syrian conflict alongside the Syrian government, which required heavy deployments by the group on the expense of the border area with Israel, the probability for an escalation of hostilities between Israel and the Iranian-backed group into a broad conflict does remain low at this time. We advise against all nonessential travel to Lebanon at this time, while restricting essential travel to Beirut’s northwestern districts. Those operating or residing in Beirut are advised to continue avoiding nonessential travel to the interiors of the capital’s southern suburbs, including Dahiyeh neighborhood, given the potential for militant attacks, spontaneous Hezbollah checkpoints, and civil unrest. Due to ongoing instability, it is advised to avoid all travel to Lebanon’s outlying areas, particularly near the Syrian border, the Bekaa Valley, the area south of the Litani River, and the cities of Tripoli, Hermel, Baalbek, Arsal, Tyre, and Sidon. In such areas there remains an increased risk for sectarian related attacks and abductions targeting foreign nationals as well as local Lebanese residents. Travelers are additionally advised to keep identification and travel documents on their persons at all times, due to the increasing prevalence of Lebanese military or Hezbollah checkpoints in Beirut. When coming in contact with a security checkpoint, comply with the instructions of security personnel, regardless of their affiliation, avoiding behavior which may be viewed as threatening. Intelligence and security support enables client to continue business following high-profile assassination and unrest in Lebanon. In October 2012, a car bomb detonated in Beirut’s Ashrafiyeh District, killing a high-profile security official with ties to Lebanon’s political opposition and Syrian rebels. The assassination sparked mass protests, including violence in central Beirut, terror threats and closures of airport access routes. Max Security’s intelligence department warned ahead of the destabilizing impact of the assassination and alerted clients with assets on ground of possible threats to employee security. An International Consulting firm requested custom intelligence tactical monitoring and security support, for foreign travelers visiting Lebanon, with the goal of safely carrying out the remainder of meetings if possible. Max’s Intel division dedicated an analyst to monitor the client’s specific itinerary in relation to ongoing civil unrest and provided prompt updates on security-related events taking place in the vicinity. Local media, on ground sources and social media were utilized and cross referenced. Max Security’s Operations department provided low profile security & logistical support. Max Intel monitored airport routes and provided updates on closures and alternative routes in case a quick evacuation will be needed. Additional crisis and evacuation support staff was retained on standby. The client’s employees were able to continue their business trip according to travel recommendations provided in real time by Max Security’s Intelligence department. The client’s security manager was recommended to refrain from employing close protection, evacuation, or other costly emergency procedures while allowing company employees to complete their business goals safely. On May 28, polls opened at Syrian embassies around the region for expatriate voting for the country’s presidential elections, and will remain open to 19:00 (local time) in each country. Syrians living in Syria are slated to vote on June 3, however elections will only be held in government-held areas of the country. Incumbent President Bashar al-Assad is challenged by two relatively unknown candidates, Maher Abdel Hafij Hajjar and Hassan Abdullah al-Nuri. Twenty-four candidates registered for the elections, however, only Assas, Hajjar, and al-Nuri, were approved by the Supreme Constitutional Court based on criteria outlined in a recently passed electoral law. over 1 million Syrian refugees. 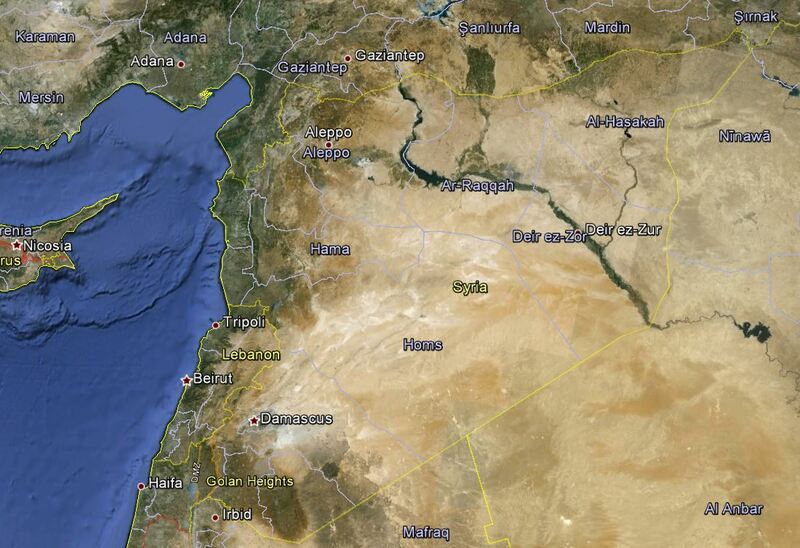 In Jordan, a heavy security presence has been reported in the vicinity of the Syrian Embassy. On May 26, Amman declared Syrian’s Ambassador to Jordan persona non grata, ordering his departure from the country within 24 hours. In response the Jordanian Charge d’Affaires was expelled from Damascus. However, Jordan has indicated that Syria will be permitted to appoint a new ambassador, and that elections would not be disrupted. Syria’s ambassador was expelled after “repeated insults to Jordan and its leadership, institutions and citizens”. Jordan presently hosts over 600,000 Syrian refugees. The UAE, as well as France, Germany, and Belgium have barred the elections from taking place. Over 30,000 Syrians living in the UAE registered to vote. Semi-official media sources in Syria have indicated that at least 200,000 Syrians abroad are slated to vote at 39 different embassies. 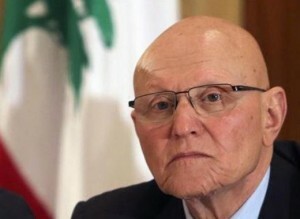 After three months of fruitless negotiations, the efforts of Prime Minister-designate Tammam Salam to form a cabinet remain at square one. The parliament remains unable to fill a quorum due to a cyclical boycott by more than half of its members at any given time. Meanwhile, the March 8 alliance between Hezbollah, Amal, and the Christian Free Patriotic Movement (FPM) has dissolved, with all parties trying to pull the latter’s influential leader Michel Aoun in their direction. Impasses at Lebanon’s highest levels of government threaten to institutionalize a leadership vacuum at a time when the country is barely able keep the floodgates of violence from the Syrian war closed. 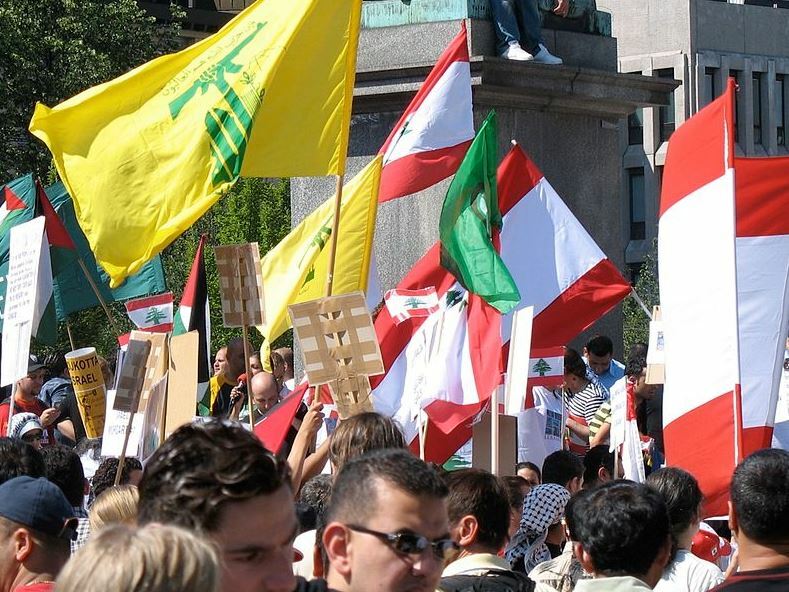 Amidst this political tumult, Lebanon’s most potent political player, Hezbollah, is finding itself increasingly isolated. Recent events occurring along the Israeli-Lebanese border highlight the elevated tensions between the Israeli military and various armed forces in southern Lebanon. On July 9, Israeli officials condemned a Lebanese construction project near the shared border, charging that the project intends to divert water from the Haztbani River. The Haztbani River supplies 25% of the water for Israel’s Jordan river, a major source of water for the country. 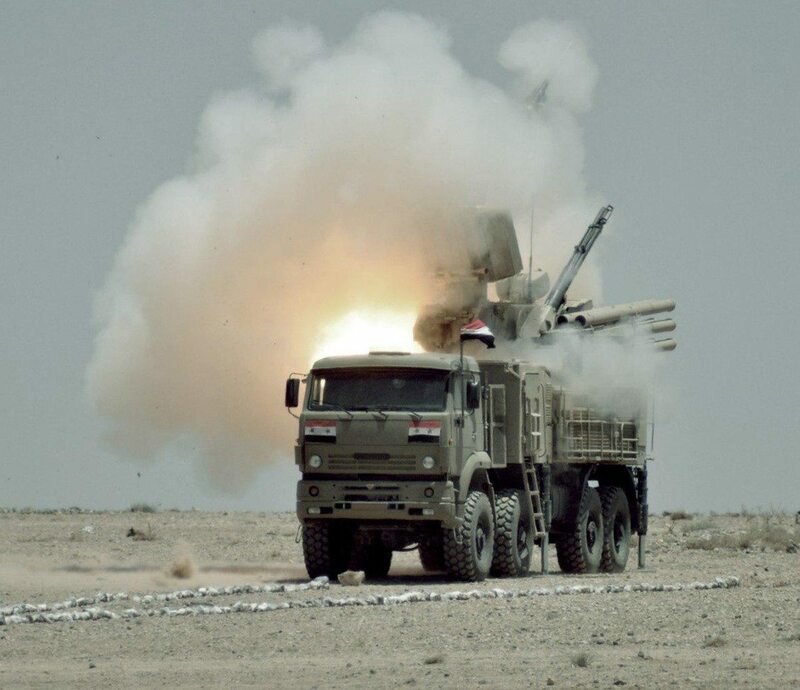 On the week of July 8, Lebanese Army troops patrolling their side of the border allegedly threatened Israeli patrols on the other side, reportedly aiming their weapons in their direction. A Lebanese commander was reportedly overheard dividing targets to his troops. The standoff was quelled after UN peacekeepers arrived at the scene. As the 6th anniversary of the 2006 Lebanon War is set to be marked on July 12, Israeli officers have made numerous statements indicating that another outbreak of hostilities will result in widespread damage to southern Lebanon- Hezbollah’s primary operating area.